In 1972, Dewey Furguson, an avid Case knife collector, wrote to Case President Bob Farquharson about forming a knife collectors association for the W. R. Case & Sons Cutlery Company. Years later, in early 1981, the Case Collectors Club (CCC) was established. A newsletter was introduced in March of that year to formalize communications between Case and its Club members. The first edition of the newsletter was in black and white and had eight pages. During the same year, the first Case Collectors Club Annual Club Knife, an Appaloosa Bone Large Trapper (A6151 SSP), was offered exclusively to Club members. At the end of the first year, the Club had 426 Charter Members. 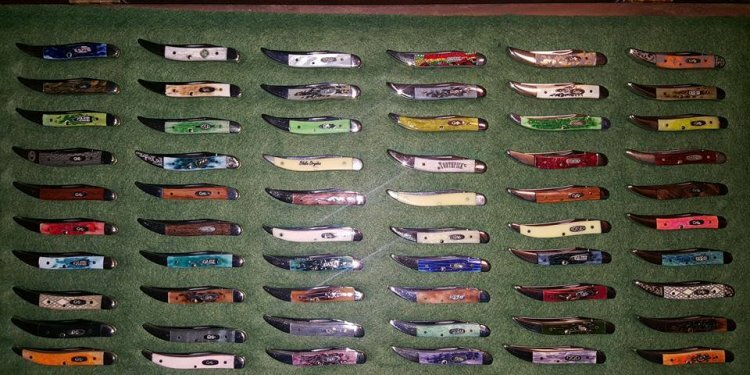 As the membership numbers grew, Case enriched the Club with more information on the company, its history, the knives, and about the hobby of knife collecting. Today, there are nearly 18, 000 members and the Club has evolved into the World’s Largest Knife Collecting Association! The foundation of this organization remains the same today as it did more than twenty years ago - to serve Case’s most enthusiastic and loyal consumers, our collectors.